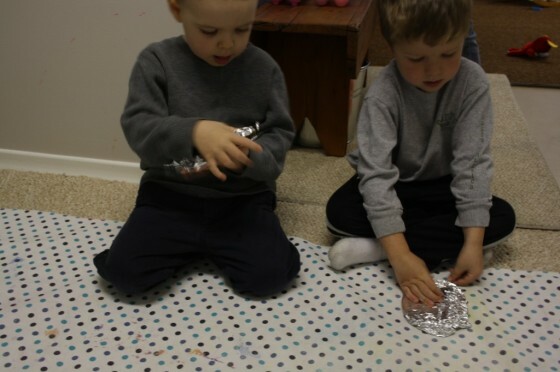 This easy Easter Egg Craft is fun for preschoolers to make and it uses simple materials that you have around the home – tin foil, cardboard, tissue paper and some craft gems. 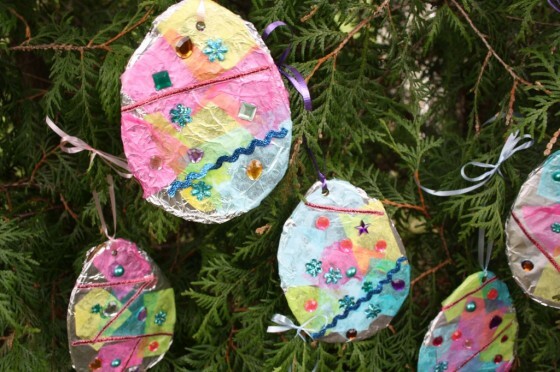 Your kids can make these Easter ornaments to hang in a window or from the branches of an Easter Tree. 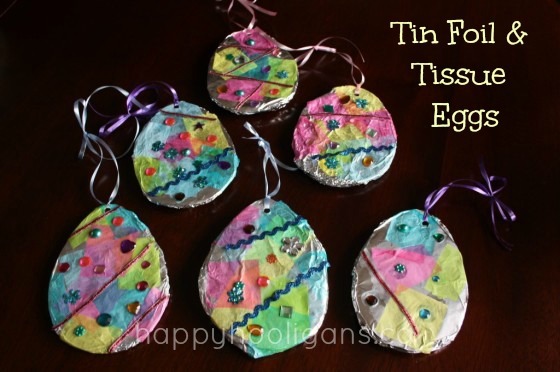 These tin foil and tissue eggs are one of my favourite Easter crafts for kids to make. I love how delicate and pretty they look. 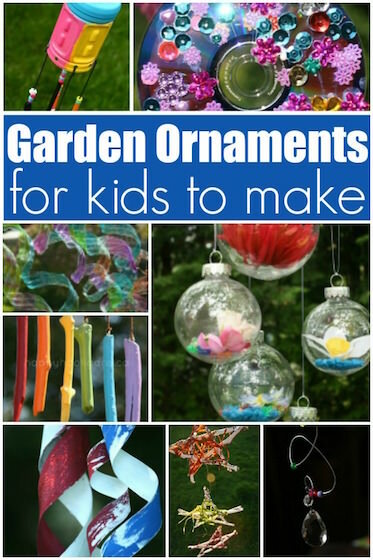 Hand them in a window, string a garland, or scatter them on your Easter dinner table. Your children will be so proud to see their handiwork displayed at the holiday. 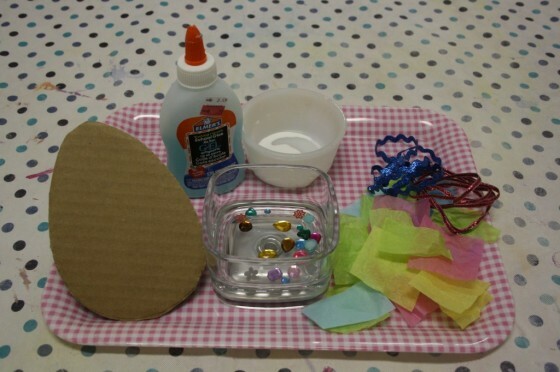 I love thinking up cute and easy Easter crafts for the preschoolers and toddlers in my daycare. My little ones are at an age where they’re really starting to enjoy craft time. 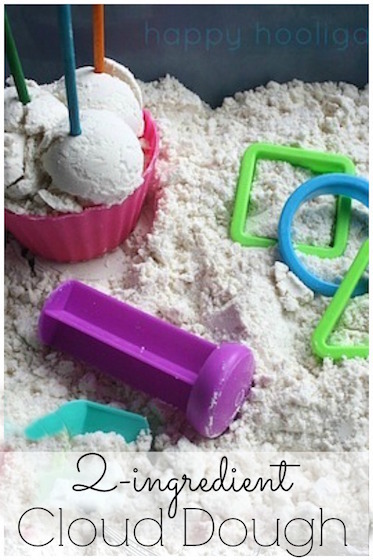 I like to round up common household materials for them to explore and create with. 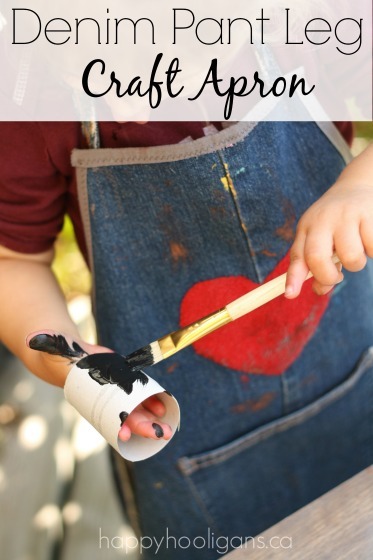 Crafting with scraps and recyclables is a great way to keep your crafting budget down, and it teaches the kids how to re-use and re-purpose items that would normally be thrown in the trash. Because Easter is just a few days a way, we’ve been making chicks and bunnies, and you guessed it….we’re making lots of Easter eggs this week. These eggs were a last minute thought this morning when I was scrounging through the craft cupboards to see what we could come up with today. We always have an abundance of tissue paper here. I never throw it away because it comes in so handy at craft time. A few ribbon scraps, some cardboard from the recycle bin, and the next thing you know, we have a gorgeous little Easter craft in the making. Check out our fluffy tissue paper Easter eggs! They’re gorgeous too! Let me show you how we made our eggs today. Cut out your cardboard eggs, and wrap them in tinfoil. 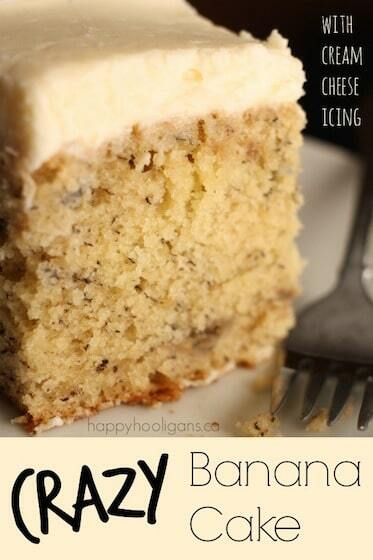 The Hooligans always love that part – wrapping and pressing and scrunching the tin-foil tight to the cardboard. 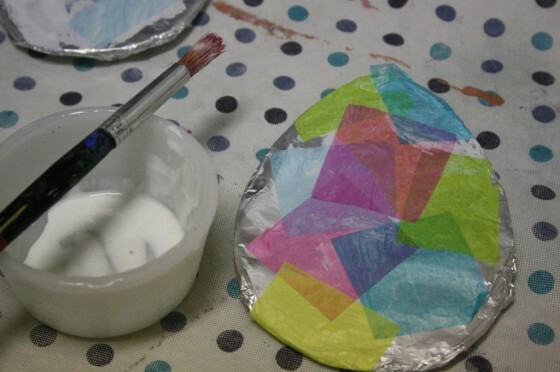 With a paintbrush, cover the surface of your egg with mod-podge. You can make your own mod-podge by stirring a couple of drops of water into some white glue. Things are going to get sticky here, so keep a damp cloth near by so your kids can wipe their hands if they need to. 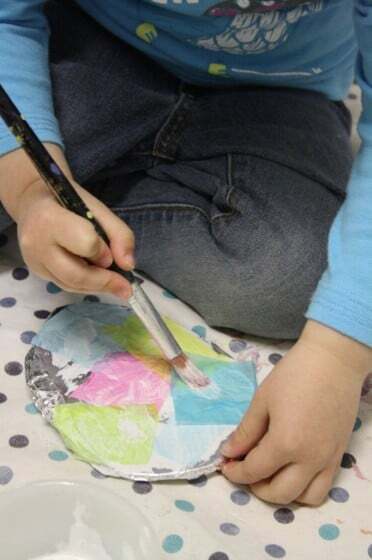 Next, have your kids press the squares of tissue paper onto the mod-podge, using the paintbrush to smooth down the edges. You can go over the tissue with a layer of mod-podge to really secure things down and to give your egg a bit of extra sheen. 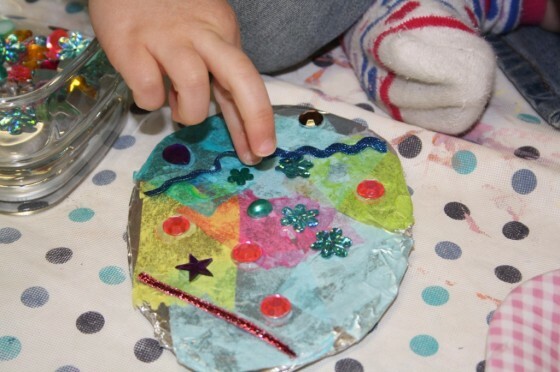 When the mod-podge has dried, the kids can decorate their eggs with craft jewels, gems and scraps of ribbon. This is such a wonderful fine-motor craft. The kids really have to use a delicate touch and those little pincer fingers to sepaprate the pieces of tissue paper. And of course, holding and placing the craft gems and ribbons requires fine-motor skills and co-ordination too. There’s also an opportunity to talk to your kids about colours when you’re working with colourful tissue paper. When your eggs are decorated, punch a hole in the top, and thread a loop of ribbon through for hanging. A beautiful little Easter Egg craft to brighten up your home or classroom this Easter. Oh, you KNOW I love this one! Remember how we did your tin foil hearts? These are sooo pretty. Love the pastel Easter colors! Yes! Are you going to do these too, Sheryl? They’re so pretty! These eggs are beautiful! Bet the kids were pleased with them! Thanks, Lisa. The tin-foil/tissue combo never disappoints! The kids loved them. Oh my goodness!!! I am so inspired and am going to use this process to make ANOTHER solar system tomorrow. Love you and your hooligans! The solar system is an awesome idea! That’s what I love about the tin-foil and tissue paper combo. 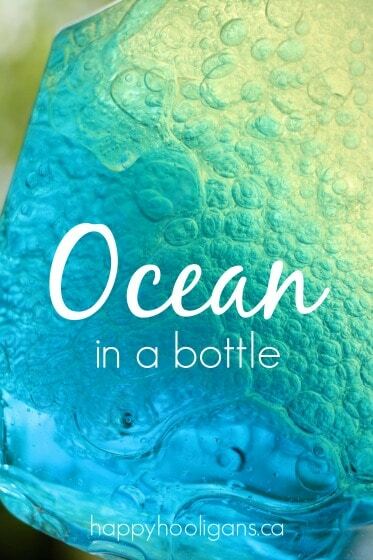 You can do so many different things with it! These eggs are so cute! I love the name of your blog. I left you a Lovely Blog Award over on my blog for you to pick up. Such a fun and unique idea. Just pinned it! They are fab! great idea! I just featured your tin foil egg craft on my Thrifty Spring Mantel post. Thank you so much, my 3 year old loved making these.